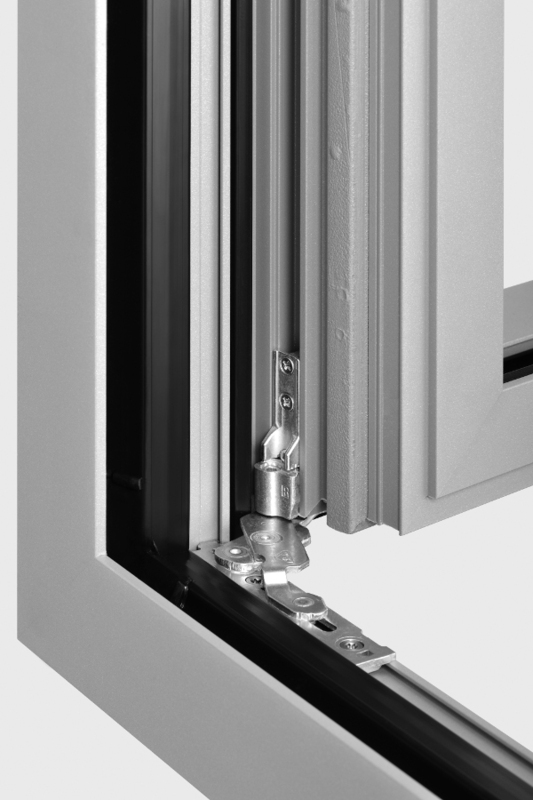 What types of windows are offered by the Oknaaluminiowe.pl sales chain? The windows offered at the Authorised Points of Sale of the Oknaaluminiowe.pl program are available in various systems, with different fittings, accessories and in multiple dimensions. Direction of opening is also a very important issue. 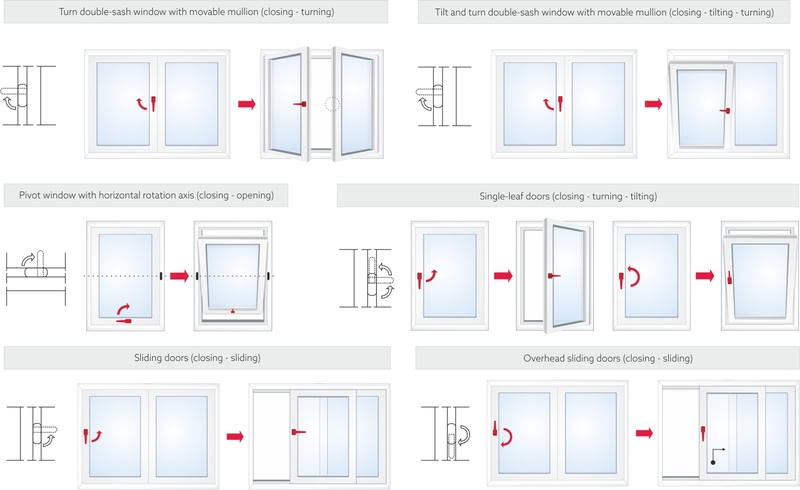 There are many factors that have to be considered at the designing stage when selecting the way of opening the windows. Location of the windows in the house is crucial here, as the windows on the ground floor will open differently from the windows located in the attic. The investors' requirements concerning the functionality and usage of the windows also affect the way the windows are opened. Why the bottom part of the external door freezes? Assembly of the threshold without separating the internal and external floor with an insulator is a common mistake. In such case frost penetration may occur. An insulating element must always be placed under the threshold. Onaaluminowe.pl network offers a dedicated insulator, YAWALTERM, adjusted for installation under the threshold of doors based on systems: TM 74HI and TM 77HI. This insulator is available in two heights: 86 mm and 150 mm. How big dimensions can have aluminium doors? 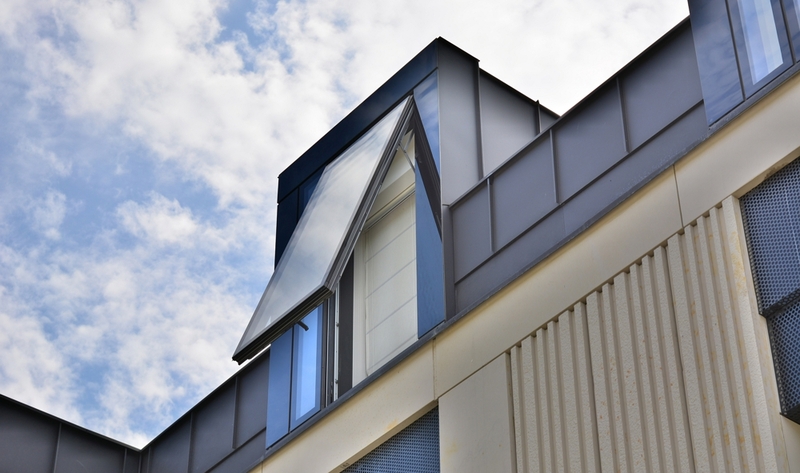 How big dimensions can have aluminium windows? The two pictures below show the difference between hidden and surface hinges. Mechanizm zawiasów ukrytych Roto NT Designo jest schowany pod przylgą skrzydła i tym samym niewidoczny od zewnątrz. Zawiasy Roto NT Designo po zamknięciu okna chowają się w przestrzeni między ramą skrzydła i ościeżnicy. Powierzchnia okna jest idealnie gładka i nie wystają z niej zbędne elementy, na których gromadziłby się kurz i bród. Takie okno zdecydowanie łatwiej utrzymać w czystości. What is the difference between cold and hot windows? Aluminum „hot” and cold” windows have different structure, thermal parameters and application. Windows of cold profiles are made of aluminum. The profiles are constructed of single chamber and have no thermal insulation, that is why their thermal parameters are at the low level. This type of systems are used in construction of internal walls, swing door, serving sashes, display windows, and boxes. 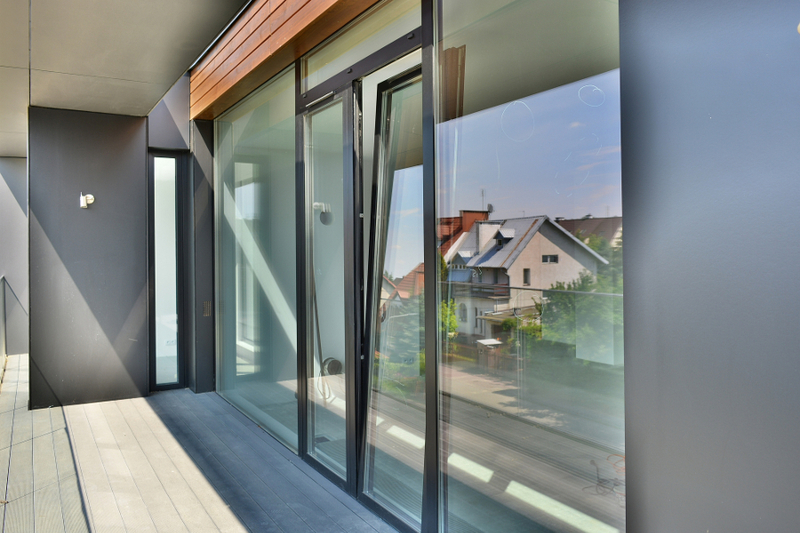 In residential buildings, hot profiles are applied, out of which, in addition to standard windows, the following windows are manufactured: balcony windows, terraces, or winter gardens. Structure of “hot” windows is much more complex. Each profile, from which the window is constructed, is composed of two aluminum sections connected with thermal inserts made of plastics. Profiles are usually constructed of minimum three chambers, where each additional chamber improves their thermal properties. 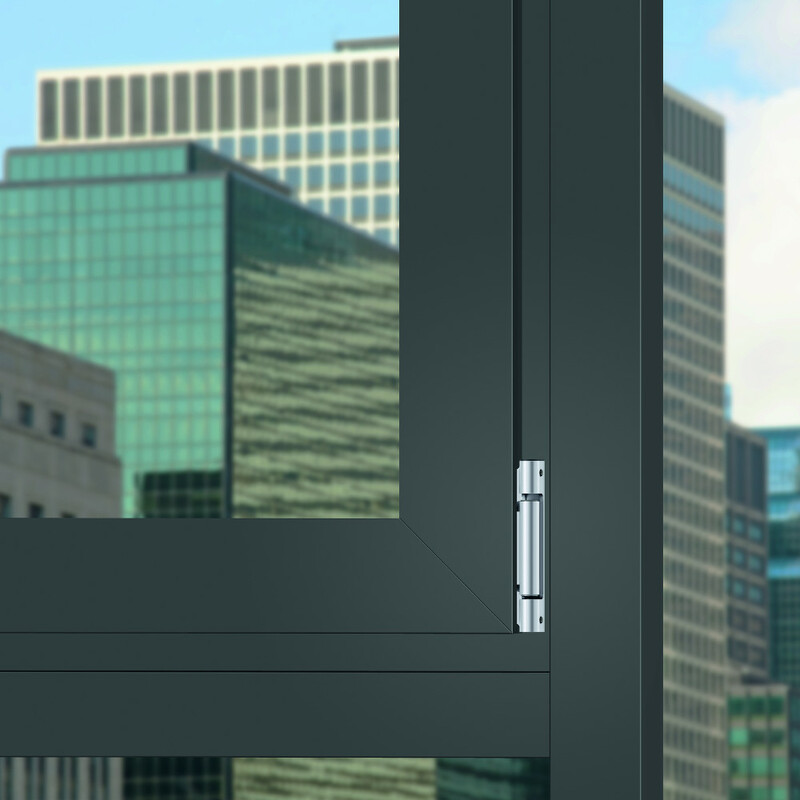 Such structure of the profile creates thermal barrier, thanks to which windows have higher thermal insulation level. 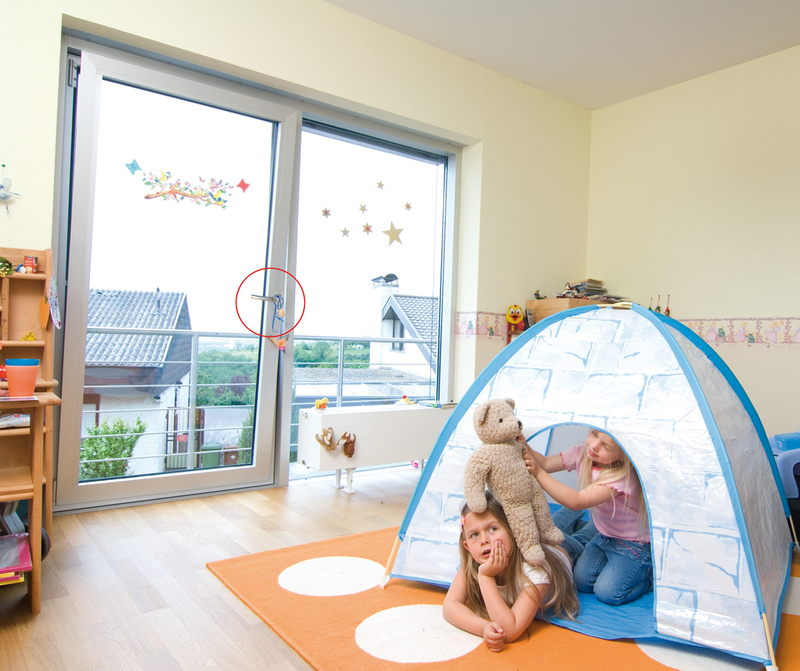 What windows require special protection against burglary? Class of resistance to burglary (RC) of windows and doors provides information on time that a specific item will last when subjected to attempted burglary, with specific force and tools applied. Anti-burglary windows and doors must be regarded as a whole complete structure. The individual components: protection glass panes or anti-burglary fittings will not guarantee that a window or any particular element of joinery is classified as a particular class. 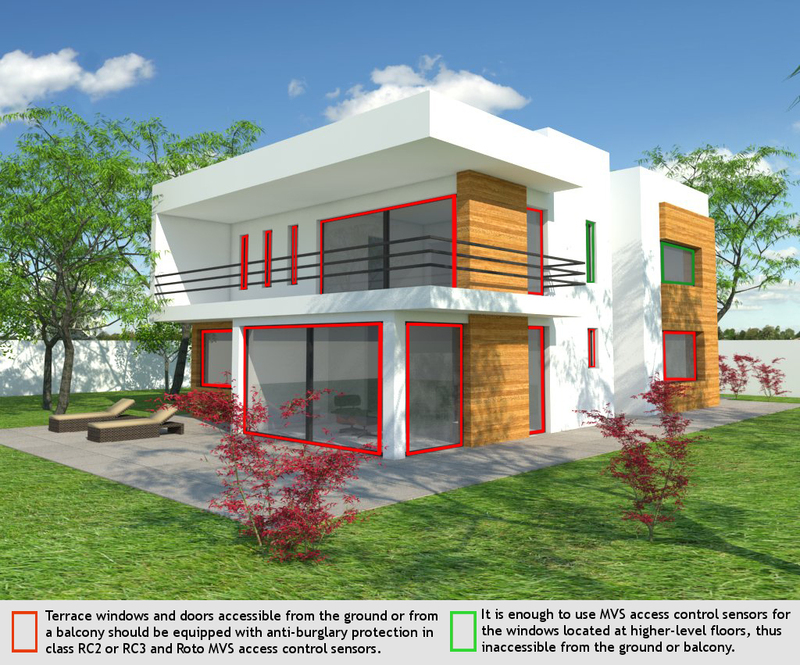 The property of anti-burglary resistance is composed of the design of a window and the material the window has been made of. Additionally, it is necessary to perform tests, that will prove obtaining a specific class of anti-burglary resistance. The anti - burglary windows and doors in classes from RC1 to RC3 are constructed in to provide efficient protection against a casual burglar. It is assumed that such burglary attempts are a result of random opportunity and the burglars themselves do not know what profit they can expect. There is not much force applied and the tools in use are usually common tools for unhinging. The unprepared burglars want to avoid noise and excessive risk. The risk is growing with the amount of time necessary for access and varies with the class. High level of resistance is the cause of burglar's failure. Anti-burglary windows and doors in resistance class from RC 4 to RC 6 are designed to withstand the attack of well prepared burglars, including organised criminal groups, whose knowledge of protections used on building structures (windows, doors) is vast. The burglary attempts are planned in advance and the burglars know what profit to expect. The noise they make or the time necessary to achieve their aim are only a secondary factor. They use strong power tools or tools with a drive. How to make maintenance of aluminium windows? 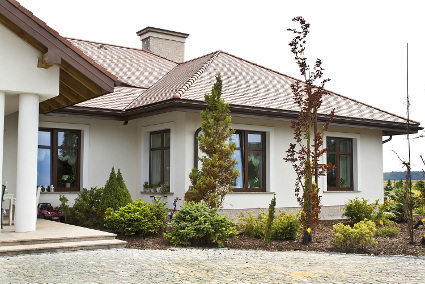 The maintenance of elements of aluminium structures should be carried out with frequency suitable for location. In non-aggressive environments (suburban areas) - at least twice per year. Maintenance of aluminium windows and doors purchased at our chainis carried out by the Authorised Fitters during paid yearly reviews. Such periodical reviews are the precondition for extending the guarantee up to 6 years. The elements of aluminium joinery should be washed with water with addition of neutral reaction, pH of the washing solution should be 5,8. Wash with a sponge to avoid scratches on the protecting surface of the profile. How can I check if my windows are energy efficient? 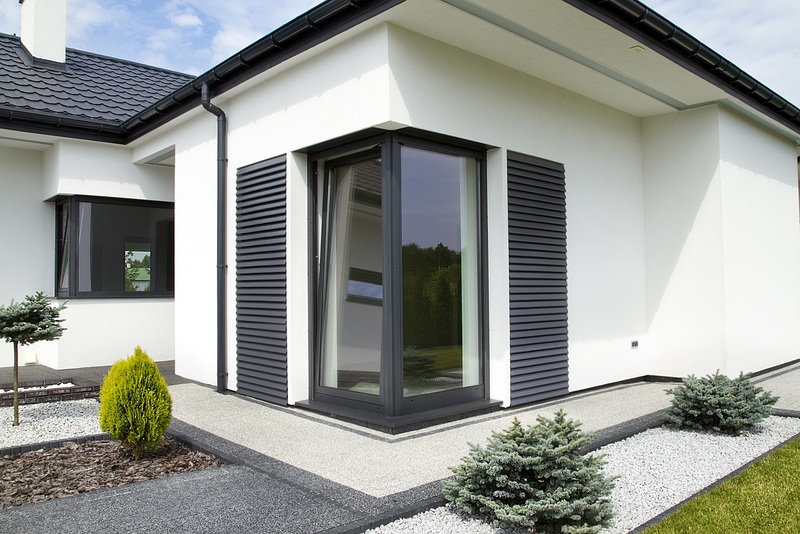 The most important criterion, which every buyer should consider, is the heat transfer coefficient of windows or doors (Uf), whose value should be as low as possible. In the coming year, the construction sector will face the gradual tightening of this criterion (from 2017 - Uf ≤1,1 W/m2K, and from 2021 Uf ≤0,9 W/m2K). This is why specialists from Yawal use innovative technologies and materials to design systems (e.g. TM 102HI) which even today meet the aforesaid requirements and allow for the production of windows with the highest level of thermal insulation (Uf from 0,4 W/m2K). Is it possible to divide the room into zones? Standard partition walls lower the size of the room and often create „crowding” effect. An alternative to divide the room into zones maintaining the possibility of their liquidation is provided by accordion door. Structures may be realized as external with thermal insulation, using such profile as TM 74HI, and as internal “cold” partitions from such systems as PBI 40E and PBI 50N. Using rails with top carriage allows for folding the door independently of the type and condition of flooring. This universal solution also allows for creating accordion doors with bottom assembly - the guiding rail is installed below floor level. How can I ensure the safety of my child? Currently, children have no problem operating traditional windows. What is more, creators of modern technology often opt for comfort of use, which makes this process even easier. For this reason, in order to keep our children safe, it is worth installing a window system which prevents them from opening windows on their own. 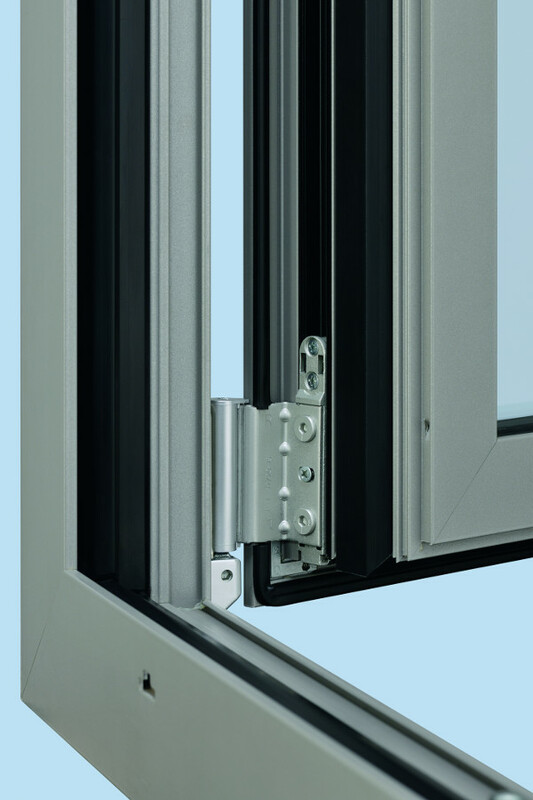 Yawal's specialists have equipped windows produced according to the company's systems with special fittings thanks to which after turning the handle into a horizontal position, the window does not fully open but tilts. This solution means the reversal of standard opening options available with traditional windows. In order to fully open the window one has to turn the handle to a horizontal position. However, if this level of safety measures is not sufficient, there is also the option of installing a special handle which is locked by insertion of a key. It does not affect the tilting option, but the window only fully opens after turning the key. Why water condensate on the inside parts of windows? It is the effect of use of windows with very low heat transfer coefficient which prevents the inside part of insulated glass from heating. In specific thermal and humidity conditions outside the building, temperature of external glass pane may be lower than temperature of the dew point at which water vapour condensate.